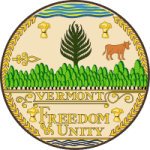 The Vermont child support offices offer a reliable way for parents to provide the necessary financial support to their children. Every child has a right to education, security, care and support which should be provided by both parents. With the online platform on which you can pay for support, it contributes to making you a responsible parent. Step 2: Click as shown below. Step 3: Tap the parent login space. Step 4: Insert your system access number SAN and PIN, then click case information to login. At times, especially for newly enrolled users, it may be difficult to remember your PIN. Luckily, if you cannot access your account due to a forgotten SAN or PIN, you can get it. Simply call 1-800-786-3214 for the customer service to get help. Step 2: Tap the parent section. Step 3: Enter the required details and then click Continue. Follow few more steps to complete the process. Step 1: Access and download the form below. Step 2: Fill the form with the required details and send it to the Office of Child Support (OCS). Assuming you have already registered as a member on the Vermont child support website, you can manage your account with ease. All tools and resources are at your disposal to make child support contribution flexible on your part. You can login to make payment or check how much you are required to pay for support. Apart from that, you can access resources such as child support laws and regulations to understand your obligations and how child support laws work.